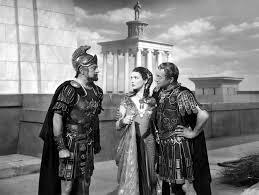 Music – “Ave Caesar” from Quo Vadis (1951 Film Score) by MGM Studio Orchestra, Miklos Rozsa (conductor). 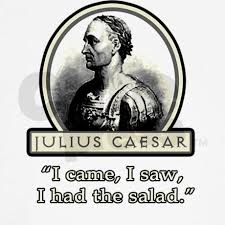 Well, OK, so Gaius Julius Caesar did not invent Caesar Salad. In fact, he was far removed from the salad featuring his name somewhere in the neighbourhood of 1,992 years in time, and about 6,375 miles in distance. For some reason, when I think of “Caesar Salad”, though, a picture of Julius Caesar is conjured up, lounging in his toga, being fanned by beautiful women and sharing wine and salad with his trusted tribunes (the one’s who didn’t later assassinate him). 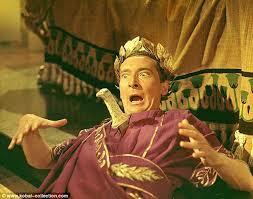 Of course, Julius Caesar had nothing to do with “Caesar Salad”. 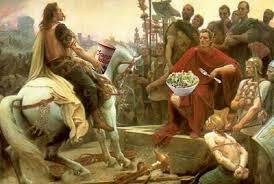 However, according to one response on http://www.ask.com, Caesar was “fond of what is now called Caesar salad“. 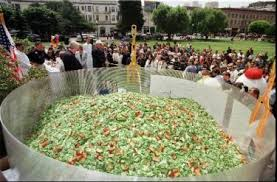 Not only that, but “…in the late BC’s….cheeses of various types began to grow…” Interesting, but doubtful! And where does one get the seeds to grow cheese? 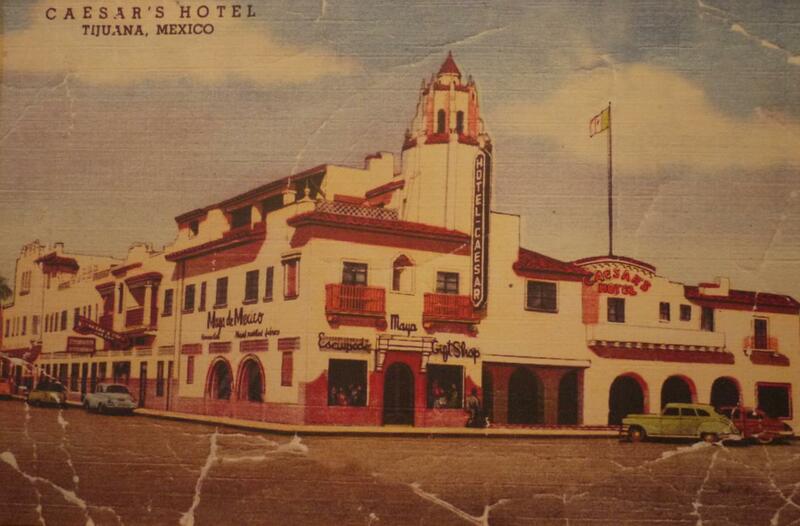 Rather it was Caesar Cardini, who emigrated to the USA from Italy with his three brothers and settled in Los Angeles, before moving to Tijuana, Mexico and setting up a restaurant there. As the story goes, it was during the Prohibition era, and the fact that customers from Los Angeles could go to Cardini’s restaurant and obtain booze and good Italian food was a win/win situation. Legend has it that the 4th of July, 1924, there were so many customers that Mr. Cardini ran out of food and threw together a salad from whatever was left in the kitchen: lettuce, croutons, olive oil, lemon juice, Parmesan cheese, eggs, black pepper and Worcestershire sauce. Behold: the Caesar salad was born. The salad proved enormously popular and Caesar Cardini trademarked “Caesar Salad” in 1948. As they say, the rest is history. According to the story, Mr. Cardini was opposed to using anchovies in his salad, however, he said that the slight anchovy flavour came from the Worcestershire sauce. 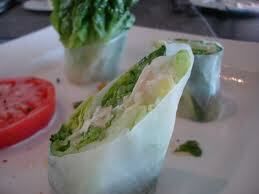 So many versions of “Caesar Salad” are around that it is ubiquitous everywhere. In this age of enlightenment, we are advised not to use raw eggs, or “coddled” eggs, but to omit the eggs and substitute mayo instead. My Dad used to make a killer Caesar Salad, and by that I mean in terms of taste (not salmonella poisoning) However, in that gentler time, chickens weren’t fed hormones and a whole bunch of other stuff that might be dangerous to humans consuming chicken eggs. One of my greatest recollections growing up was the annual birthday dinner for me. My Mom and Dad would take my sister and I and assorted other extended family to a really posh (read “expensive” restaurant in Toronto, and we would be treated like royalty. One of my favourite things was to order the Caesar Salad, which would be prepared tableside by a gentleman in suit and tie. The rolling cart would trundle up to our table and the chef or Maitre’ D would first rub real garlic cloves around the inside of an enormous wooden salad bowl. Then, the anchovies, dry mustard and freshly ground black pepper were mashed with the garlic. Lemon juice was blended in, Worcestershire sauce and olive oil. A coddled egg was added and the dressing was beaten until creamy. Romaine leaves (torn, not cut), were tossed into the bowl, along with the croutons and there you have it: Caesar Salad. Of course, a little parmesan cheese was also freshly ground on top. I felt pampered. Did Julius Caesar invent “Orange Julius”? 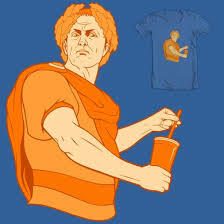 So, then, did Julius Caesar invent the Orange Julius? Well, not exactly. Around 1926, Julius Freed liked oranges a lot. So much so, the story goes, that he opened his own orange juice stand. Sales, however, didn’t exactly skyrocket overnight. Julius apparently had a friend, Bill, who also liked oranges, but claimed that they upset his stomach. 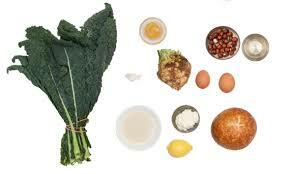 So, Bill blended a few things together, making the juice less acidic and showed it to Julius (not the one in Rome). Pretty soon, customers were lining up shouting “Give me an orange, Julius”. And behold the birth of the “Orange Julius”. 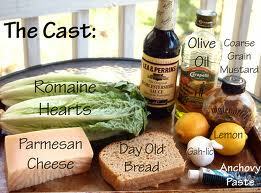 Of course, these are just the ingredients for the dressing. Then you can add chicken, turkey, pasta, seafood, beef or anything you fancy. The possibilities are unlimited, although I don’t know if Caesar Cardini would take to a Caesar Salad with tofu, kelp powder, mint and cottage cheese, but you gotta go with the flow! Hail, Caesar! This entry was posted in Cookbooks, Cooking, Cooking and Social History, Eating, Food Trends, Recipes, Restaurant Menus, Vintage Cookbooks and tagged Caesar Cardini, Caesar Salad, cookbooks, Cooking, food history, Gaius Julius Caesar, Julius Freed, Orange Julius, social history, Sue Jimenez, time capsules. Bookmark the permalink.